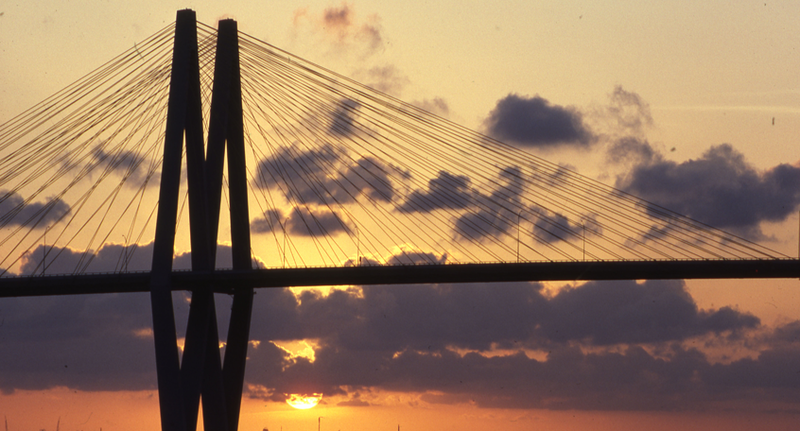 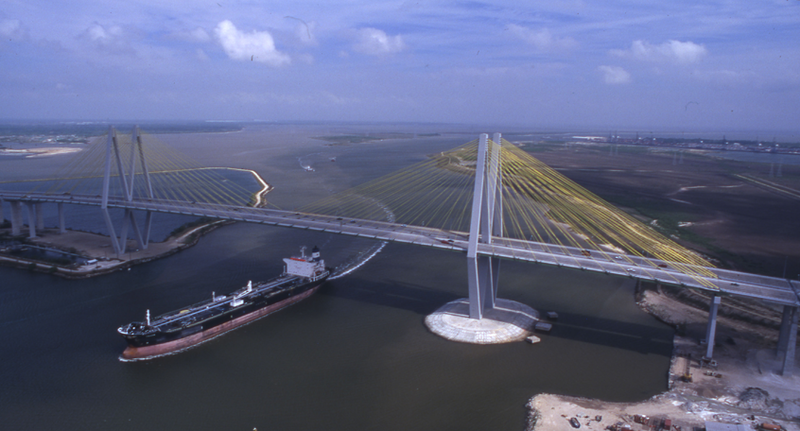 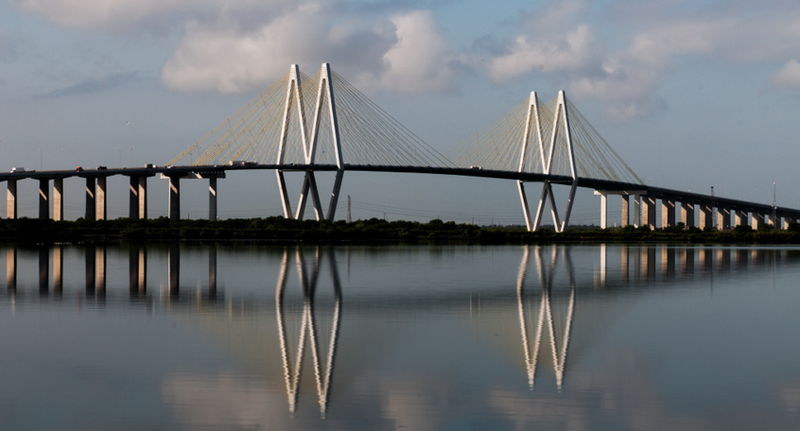 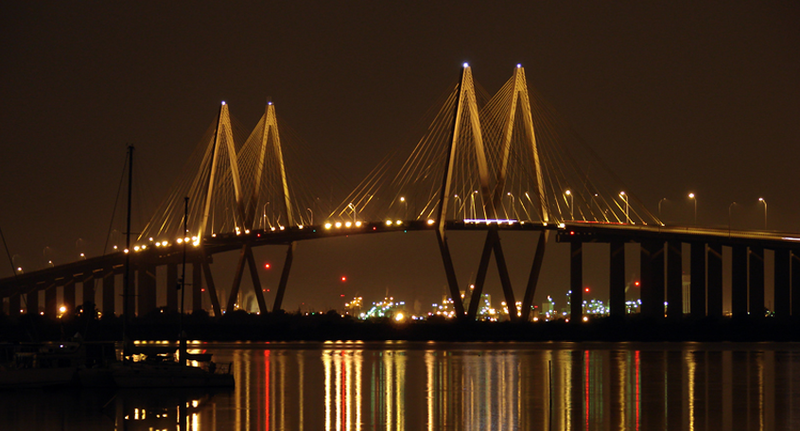 Opened on September 27, 1995, the Fred Hartman Bridge is the longest cable stayed bridge in Texas spanning the Houston Ship Channel and connecting the cities of Baytown and LaPorte along SH 146. 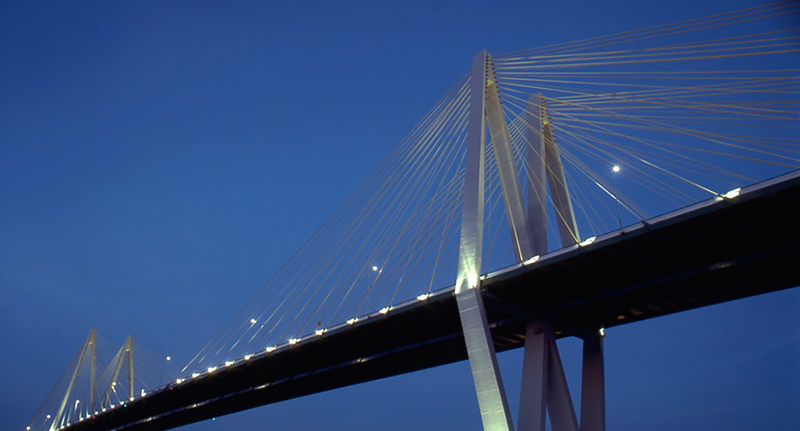 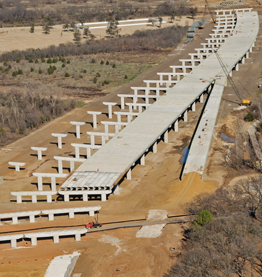 At 436 feet high, the bridge features a fan arranged cable stay arrangement and provides a vertical clearance of 262 feet. 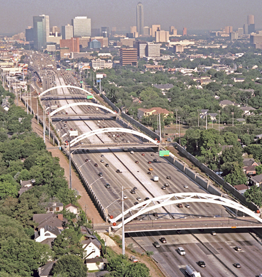 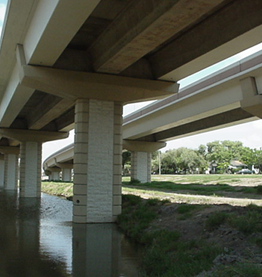 Once completed, the SH 99 Grand Parkway will include this 2.6 mile, eight lane stretch of SH 146 in East Houston, further improving regional mobility.